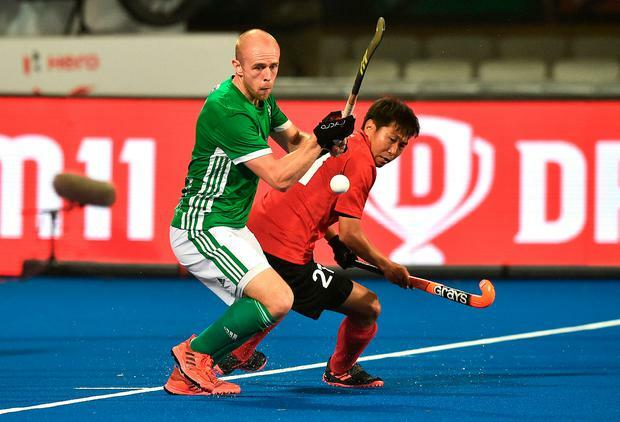 A 60-minute display of fizzing passes and menacing crash balls ultimately failed to unbuckle China's resolute defence yesterday as Ireland's share of the spoils sees their World Cup hopes going down to the wire. Alan Sothern's equaliser sets up a Friday showdown against England - a "big local derby," suggested forward Matthew Nelson afterwards - with Ireland needing a draw against their rivals in their final Pool B game to make certain of their place in the cross-over matches and a shot at a historic quarter-final berth. "We had a lot of chances but didn't execute. It's unfortunate," said Nelson. "We played some great hockey, great passing and good build-up play. Hopefully against England we will be more clinical and we'll work on it in training." Formality A first victory of this campaign had looked a mere formality under the Kalinga Stadium lights. China hadn't beaten Ireland in a decade and had lost their last four matches to the world No 10 side. Despite 60pc of possession, 27 circle entries to China's five, and three times more shots on target, they were left frustrated by a lack of clinical finishing. Irish captain David Harte admitted afterwards that the inability to put away some good chances cost them dearly. "We performed well but ultimately our lack of conversion in front of goal came back to haunt us unfortunately," he said. "All the statistics were in our favour but you have to take the opportunities presented to you, and we didn't." But the side hailing from Inner Mongolia shouldn't be classed as an outside bet anymore. 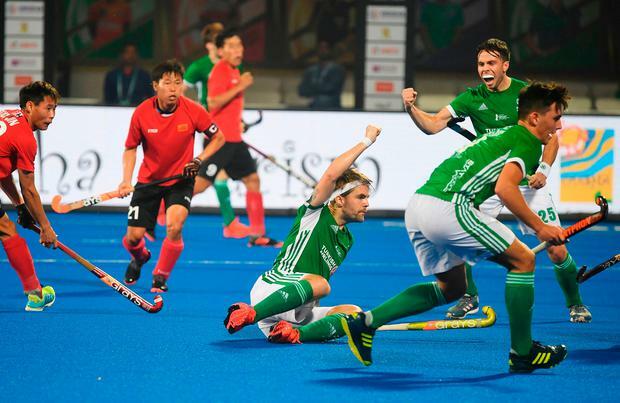 They soaked up constant pressure from Ireland's wave of attacks to take a surprise lead before Ireland rallied and pushed for a winner. 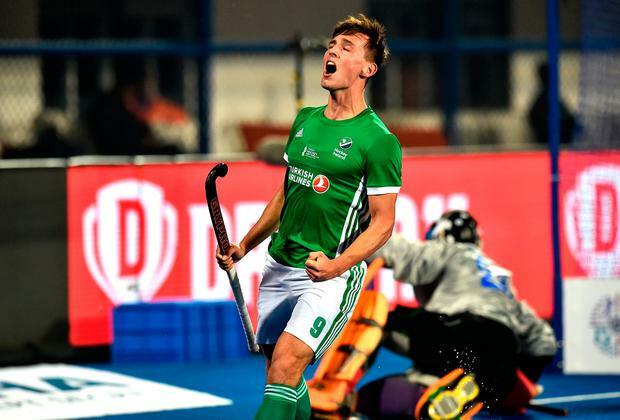 "Credit to China, they stuck in the game," said Shane O'Donoghue, who three times came close to breaking Ireland's goalscoring record for his 94th strike. "There can be no motivation against England, it's always there. We have to go into the game with plenty of belief." Ireland had plenty of it after an uneventful opening first quarter where Nelson found the side-netting. O'Donoghue soon did the same from a tight angle, while a succession of crash balls into the circle saw luck befall Chinese sticks. Harte saved well from China's first penalty corner offering in the second half, but they couldn't maintain pressure. Ireland never gifted them that luxury. But a yellow card for Jonny Bell did see Ireland face another unwanted Chinese corner routine in the 43rd minute. A pirouette move at the top of the circle was switched and flicked towards goal where Jin Guo's volley found the net. Once again Ireland rallied and finally they found reward a minute later, as Michael Robson's inviting cross was expertly tucked away by Sothern, a constant presence in China's circle. 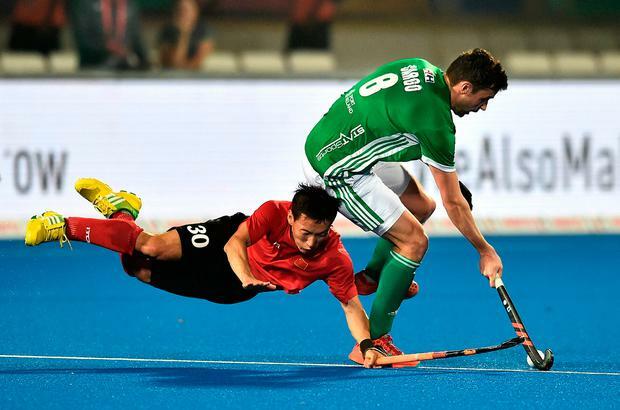 Then came late drama as O'Donoghue's drag flick was saved by the impressive Caiyu Wang. Earlier, England were beaten 3-0 by Pool winners Australia to set up an eagerly-anticipated encounter both can't afford to lose. Ireland (starting XI) - D Harte, J Bell, Nelson, Sothern, Magee, Shimmins, O'Donoghue, Murray, Gleghorne, C Hare, Loughrey. Rolling subs: M Bell, Cargo, Darling, Robson, Fitzgerald, Walsh, Cole.